Atlanta, GA’s nightlife meets the luxuries of fashion. This event celebrating the birthday of the Editor In Chief of Kontrol Homme Magazine. 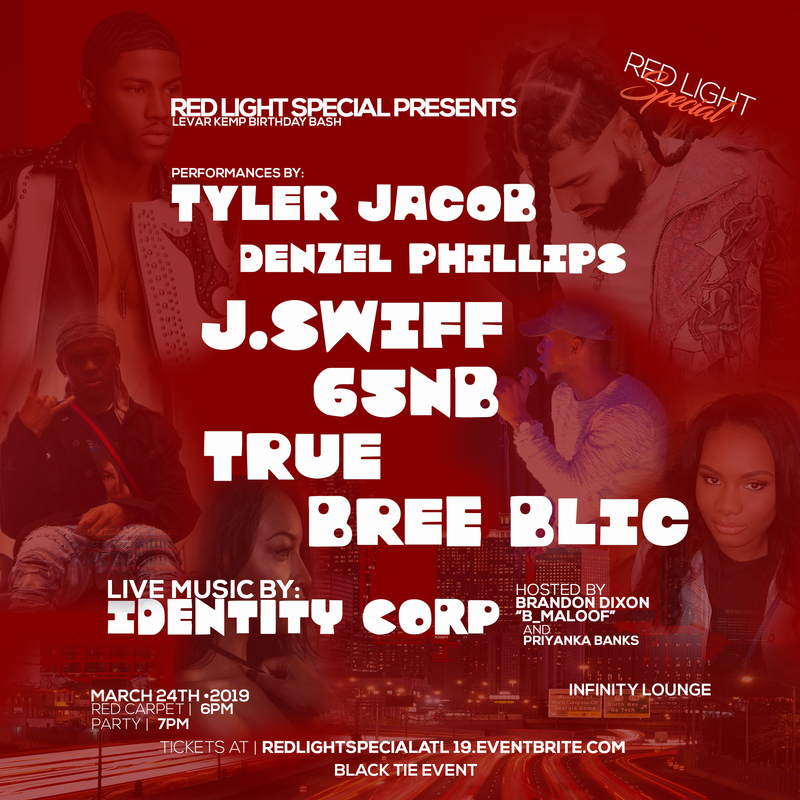 This event promises a night of wonder and entertainment for Atlanta’s high society and many more. 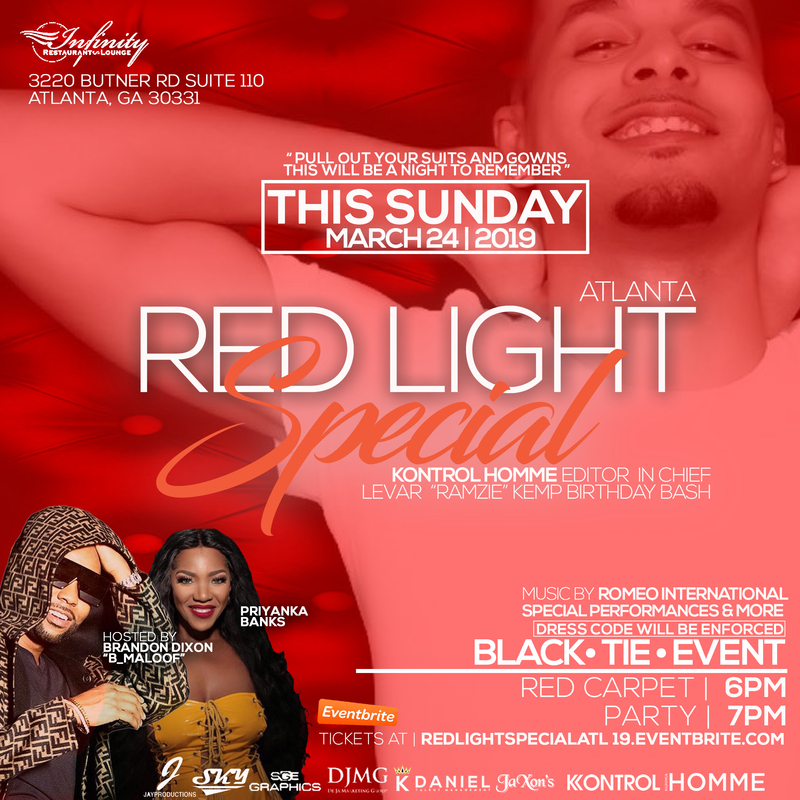 “Red Light Special” a soirée celebrating the life of Levar “Ramzie” Kemp. You are cordially invited and do not want to miss this sophisticated, fashionable, and convivial event! Hosted by Social Influencer Brandon “B Maloof” Dixon & VH1’s Soroity Sister’s Priyanka Banks! Celebrities and guest will arrive walking into the event with an array of gowns, dresses and suits. Entertainment will be provided by DJ Romeo International and live performances throughout the event. There also will be upscale attendants and accommodating staff. 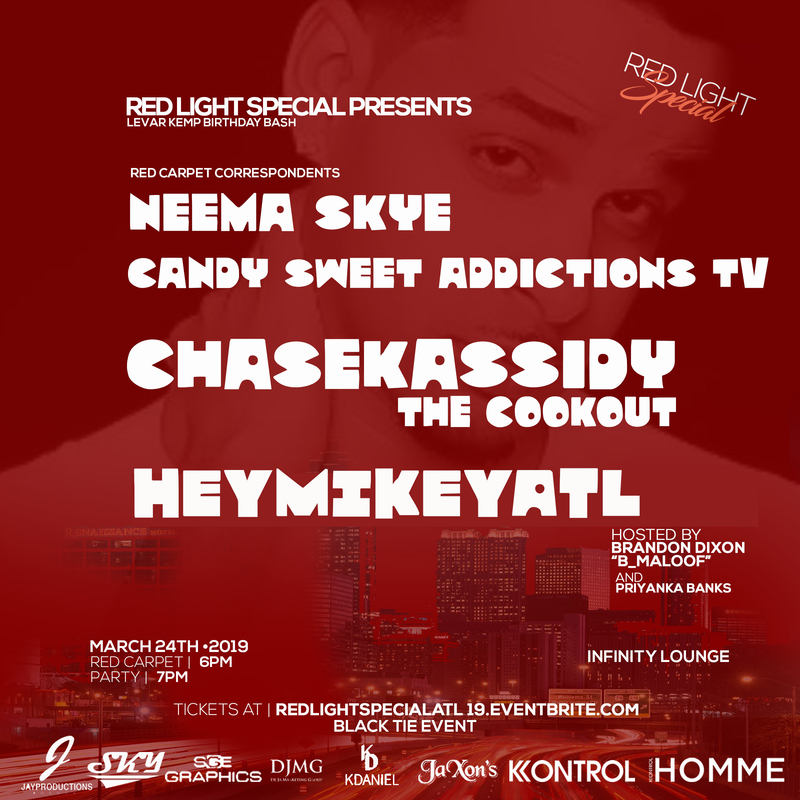 Join us Sunday, March 24, 2019 from 6:00 PM-11:00 PM at Infinity Lounge 3220 Butner Road Atlanta, GA 30331, where the Crème de la Crème in entertainment, fashion, and the arts will be walking the red carpet lined with national and local press. VIP areas will be accommodating with complimentary hors d’oeuvres, dessert bar, and swag bags filled with exclusive products. 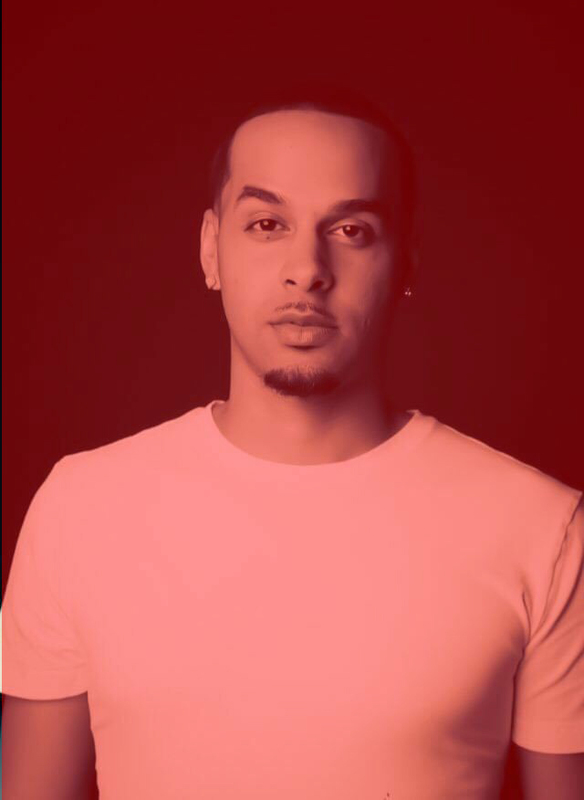 EDITOR IN CHIEF OF KONTROL HOMME LEVAR "RAMZIE" KEMP. NATIVE OF SAVANNAH, GEORGIA. EDUCATED, DETERMINED, MOTIVATED, AND PASSIONATE INDIVIDUAL.